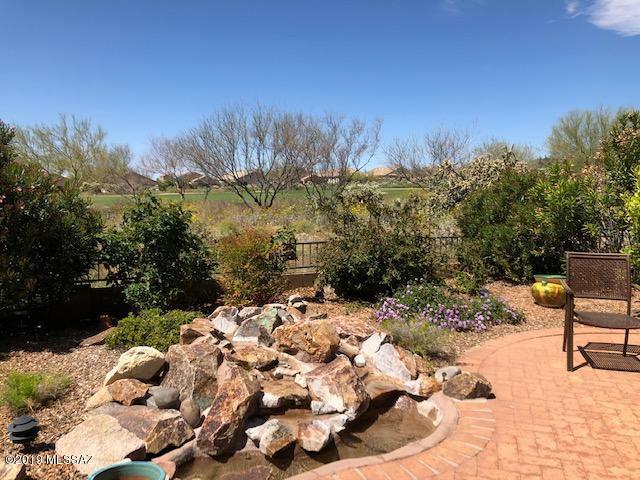 Peaceful and private golf course views - along with some various mountain views. 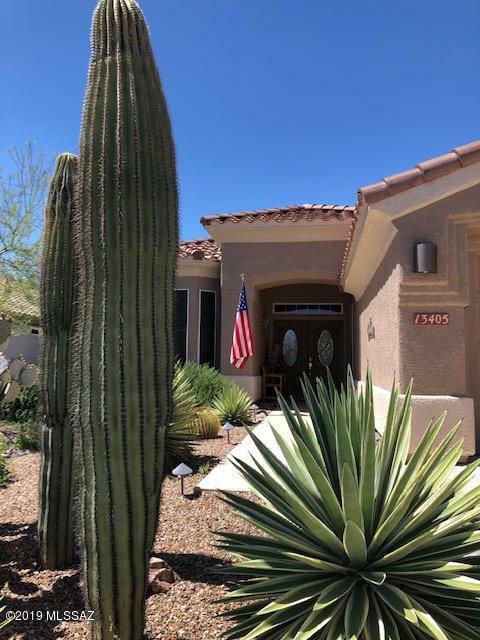 This popular Hillsboro model home has beautiful granite slab counters in kitchen, double roll-out drawers in cabinets, soft desert hues of paint, plantation shutters, fireplace in great room and a stylish glass bar area. 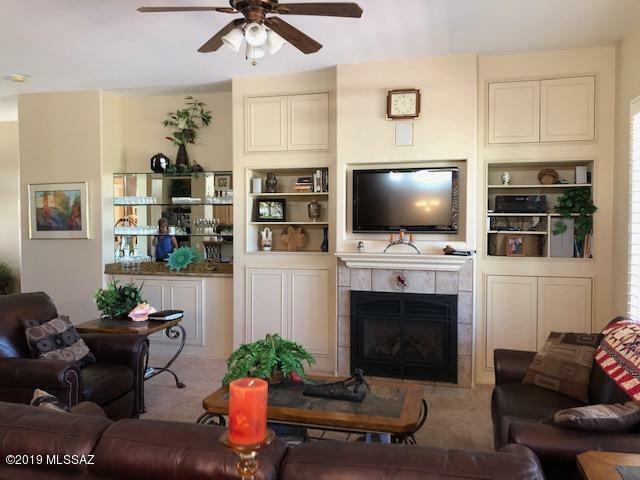 Abundant storage in great room, along with surround sound. 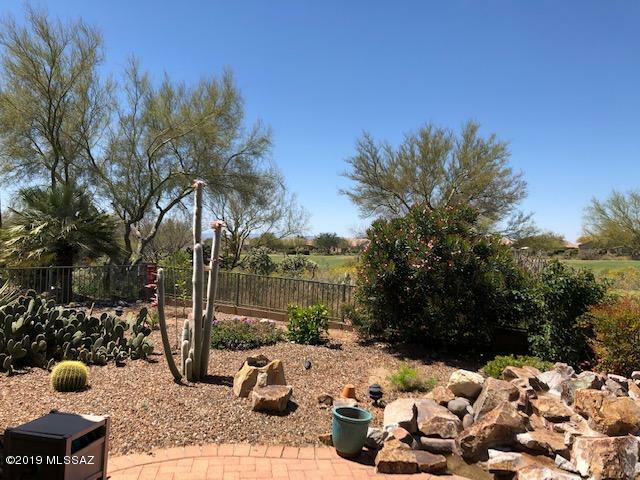 Back yard boasts tranquil water feature,sun shade, built-in BBQ grill station, mature landscape and property is fully fenced. Laundry room has built in desk area - great for crafts or just folding clothes. Garage has storage cabinets and small workshop area. All kitchen and laundry room appliances convey with accepted offer. Home is elegant and is truly move in ready.